Every year, I get excited to look at all the new homeschool materials and curricula out there…and figure out what’s going to work best for us in our current situation. Still, I have a possibly-crazy love for books, curricula, and office supplies, so it’s fun for me to look through all these things and select new materials. Sadly, I’m often disappointed in what’s out there. It occurred to me that some newer homeschooling families may feel overwhelmed by the options — how many there are, all the different styles, not knowing how to use some of them, not even knowing if some are beneficial! So, I thought I’d share why I have this love-hate relationship with them, and how I solve the problem to come up with quality materials for my kids. When I first started looking at homeschool curriculum, I had expectations about what it would be like. I thought I’d be getting information-dense books that had everything (or nearly everything) I needed in one place. For example, if we were doing a unit study on weather (one of my kids loves to follow the weather), I expected that a book/curriculum would have diagrams of weather patterns and cloud types, and lots of other information on what weather is and does, along with activity suggestions and places to write findings. At the back, I’d expect a list of good video and book options for additional reading, if desired. Sadly, most of the unit studies I ran across were pretty much only the video and book suggestions. They were just a plan for which other materials to find and use, and did not contain anything useful in and of itself. Thus, my frustration with homeschool curriculum began. There are lots of resources that come with tons of worksheets or little activities. For example, if you’re studying the letter “A,” there will be sites for tracing it in chocolate syrup, making it out of play-dough, doing a letter A treasure hunt (how many items can you find that start with “A?”), an entire day of tasting apples, etc. This is massive overkill and totally unnecessary. The truth is, if a child needs that many activities to remember what the letter A is, s/he is not actually ready for literacy instruction. And if s/he is ready for literacy instruction, s/he does not need those activities to remember letter A! The same is also true for many worksheets or crafts. They’re busy work. They’re not teaching a child new information or a new skill and they’re not improving his/her overall academic outcome. Now, some people are going to get upset about this…so let me say this. If you simply enjoy those types of activities and your child does, too, there is no harm in doing them. If it’s fun for you to have a letter A party, then by all means, have one! Some families are just crafty like this, and that’s fine. But, you do not need to feel pressure to “do more” like this. Some moms are not crafty, and find it difficult to come up with activity after activity to teach basic concepts. Some kids do not enjoy doing these activities. There is no benefit in doing them if you do not enjoy them. Personally I don’t find them beneficial, and I’m not going to pay for curriculum that is just a collection of these types of ideas or other forms of busywork. And a lot of the materials I find fall into this category. As I mentioned above, I’m choosing materials expecting them to be fairly all-encompassing. That is, they should give at least a reasonable overview of the topic within the material itself, along with activities, engaging text/questions, etc. Extra reading or videos should be just that, extra. Some of these packages are $20+ and all they contain is a “plan” for which books to buy/borrow, which videos to watch, and what types of crafts or supplementary activities to look up. These types of material feel like nothing to me. I’m fully capable of going to the library or searching YouTube to find those books and videos on my own. I think a lot of families buy these things anyway because they’re not sure where to start on a particular topic and just want someone to tell them. But, mamas? We live in an information-rich world. Take the time to hit the library or search YouTube or look for blogs that have free lists and project ideas, if that’s what you want. No need to pay for it! In my opinion, materials are only valuable if they have something to teach in and of themselves. I have gotten some cute board games (my kids love games) that teach state names or historical facts. These, I found valuable because they were an activity by themselves, and they taught us new information. I didn’t have to go out and get a bunch of supplementary things in order to learn! I have also found math and spelling curricula that had weekly lists and practice pages/activities right in them. These I also found valuable for the same reason — all-encompassing. So much of what’s out there has one (or both) of the two problems I mentioned, especially in the early grades. And, here’s a secret: that’s because you don’t actually need hours of “school” to teach the basics! They’re trying to mimic public school, which is totally unnecessary. To clarify points 2 and 3, when I say “all inclusive” I mean all the information they intend to communicate should be there — no need to buy additional books or look stuff up online. And “pick and choose” means that the activities or exercises should be available to choose from as needed. For example, if my child were learning basic addition, we may or may not want to use the worksheets. We may choose to use manipulatives to help them understand. Or we may choose only a couple of worksheets, not all of them if they get the concept and are ready to move on. Instead, these are some of our favorites. We have a long book list for this summer, but haven’t gotten to it yet. It includes Alas, Babylon; Indian in the Cupboard; Little House on the Prairie; Narnia; and several others. Beyond these, we pretty much look up whatever the kids ask for. If they have an interest, we’ll seek out a video, book, or activity about that thing. We have a whole community, online and off, at our finger tips! A lot of people get a curriculum anyway because they want to make sure they aren’t missing anything or leaving any gaps in their child’s education. But here’s the truth: there will be gaps. This is true if you choose curriculum or not; no matter which curriculum you choose; and even in different educational settings. Kids all have different abilities and interests. And their learning doesn’t stop at age 18. Don’t let this idea that you need to follow someone else’s plan or do lots of busy work hold you back. Feel free to explore and follow your kids’ interests and needs instead. Currently, I have not made any of the materials I’ve created for my own kids available publicly. Would there be any interest in resources like journal prompt pages, how to start a business for kids, real food nutrition, real food science, advanced grammar games, etc.? I’m working to create tools that are valuable for me, and thought they may be for others, as well. If you’re interested, leave me a comment below! Can Unschooled Kids Go to College? 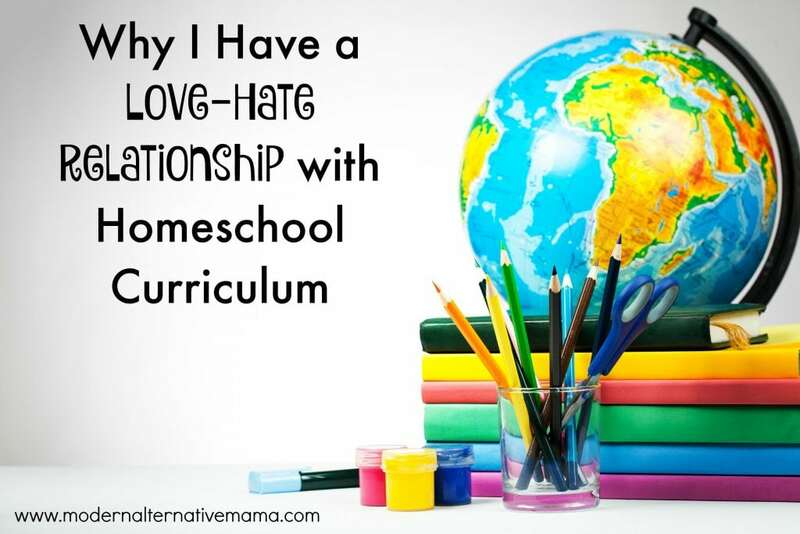 How do you feel about homeschool curriculum? You would love the Handbook of Nature Study by Anna Botsford Comstock. It was written in 1911 by a naturalist for use by teachers to do nature study in schools. It is totally comprehensive and beautifully written. It seriously covers everything and is over 2″ thick. The species are northeastern but so much is adaptable to any region of the US. My child is two and we are loving the information. We’ll do more and more with it in coming years. thank you for all the valuable resources and information!